Warm welcome. A good location, just a few minutes walk to the city center. Good Irish beakfast. Pat and Mary were the perfect hosts, the house and our room were immaculate, the location was just on the edge of the City Centre and an easy walk to all urban and rural sites. You can't go wrong by visiting here, for one day or one week! And, the food was delicious!!! This is a great B&B - it is slightly outside of town but it is an easy 5 minute walk to the main street. It is very quiet and the rooms are very large. They have a nice breakfast room and a sitting room. The bathrooms were very clean and the rooms were recently renovated. There was plenty of space to put your stuff which is great after some cramped place. They have a private lot with lots of parking spaces. 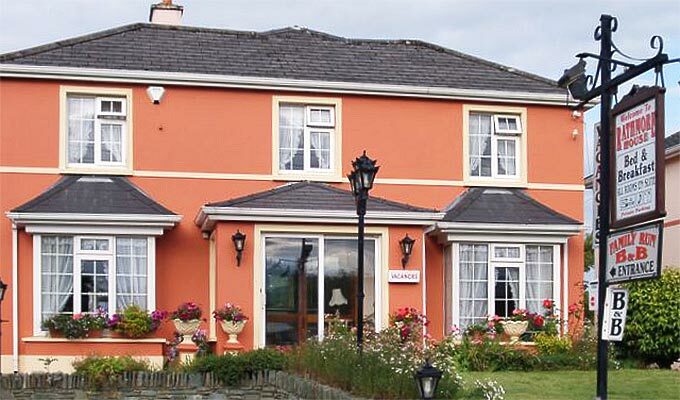 The Rathmore House is a more than beautiful B&B in the wonderful area of killarney. It is managed by a very lovely couple which does not bother to keep an eye on their guests needs. I had a great stay in a quiet and cozy B&B. Best B&B we've had in Ireland!